A few months back, we were happy to announce Crankworx was expanding to New Zealand. The legendary mountain bike festival, in just 11 years, has set itself up to be a tour de force for Whistler, BC, Les Deux Alpes, France, and now Rotorua. The main benefit of this is the points system, enabling the Triple Crown to be won at this year’s Whistler event. The creation of the Triple Crown means there will be a lot of interest straight out of the gate, as riders will compete for points that will accumulate throughout the three stages. The coveted Triple Crown has been created to recognize the perfect trifecta of athletic performance, a win at every round of the Crankworx Slopestyle Series. Only 20 top athletes, and three alternates, will have the opportunity to compete for the new title. Brandon Semenuk will be on-hand to show everyone how it’s done. The introduction of the World Tour concept, has created one of the best race rosters seen at a Crankworx Festival. Registration for the Crankworx Rotorua Downhill presented by iXS includes more top athletes than any other DH race in Crankworx history. Former World Champions Greg Minnar (RSA) and Gee Atherton (GBR), along with previous Kings of Crankworx Steve Smith (CAN) and Mick Hannah (AUS), are all confirmed for the race. The women will be out in full force as well, competing for the first time for equal podium prize money. Former World Champion Rachel Atherton will go head to head with reigning Queen of Crankworx Casey Brown and 2013 Queen of Crankworx Jill Kintner. And as the opening round of the Enduro World Series, the Giant Toa Enduro will see the world’s best enduro racers and top downhillers sign on to one of the most competitive lineups in this young sport. 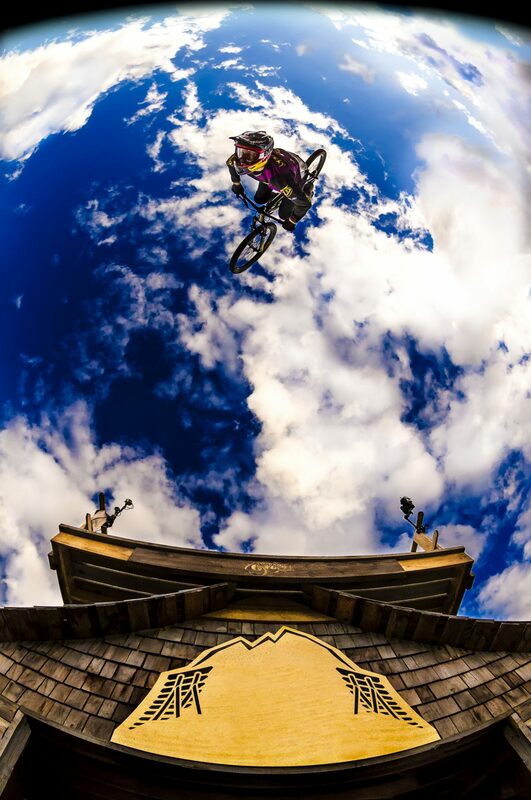 “The Triple Crown of Slopestyle isn’t something we expect to see won every year. This is the pinnacle of where we think the sport can go. Is it possible to do? We don’t know, but we’re more than happy to provide the platform for the athletes to the reach new heights,” says Darren Kinnaird, Crankworx World Tour general manager. The show starts in just under 3 weeks.